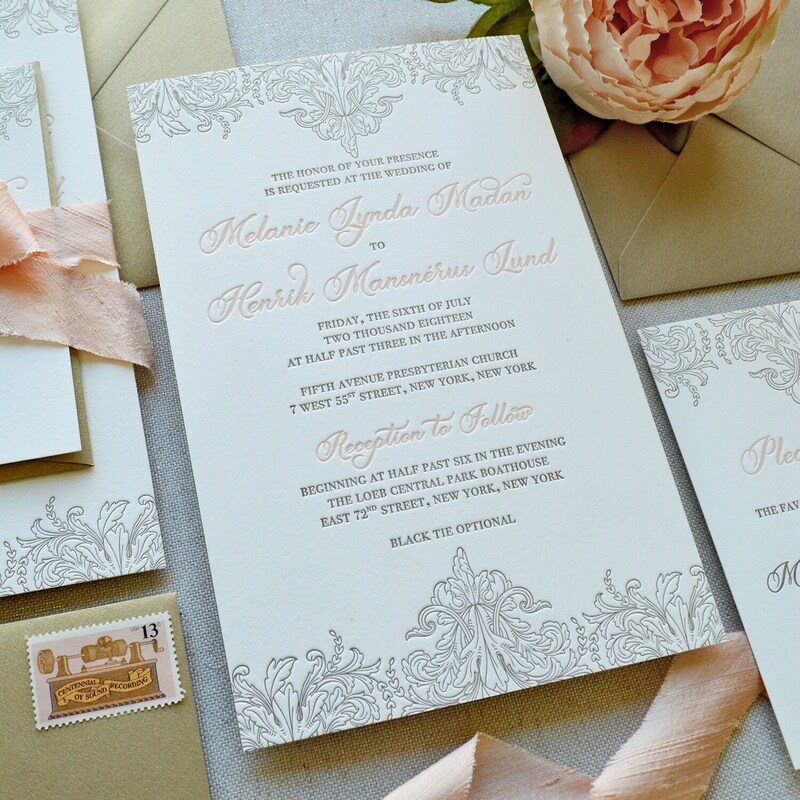 Insert Card = 3.5" x 5"
This luxurious letter pressed invitation is printed on 100% Cotton Lettra 220lb card stock in Pearl White. The prices listed include up to 2 ink colors of your choice. The RSVP card is also letterpressed but printed on 110lb card stock. 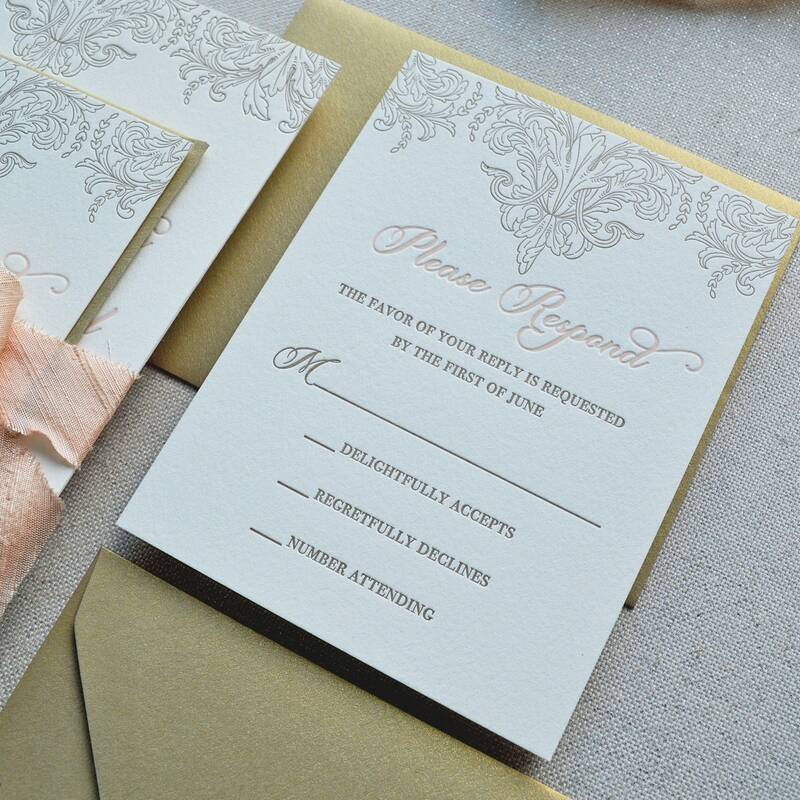 Additional Insert Cards can be added, which can be used for Accommodations, Reception, or any other Details. These are also printed on 110lb card stock. 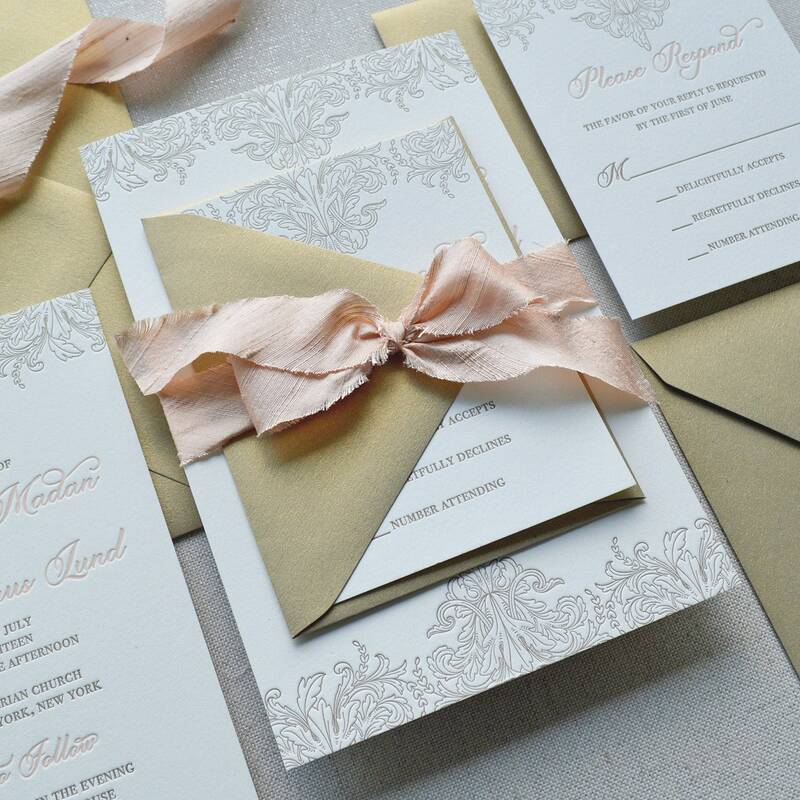 You may also select any envelope color you wish to coordinate with your design.